Happy Friday! Today’s freebie is a downloadable full resolution image that can be used as wallpaper for your device or as a printable mini-poster. [Click here] to download full resolution. The design is inspired by today’s road trip and mini-vacay with R.J. for our two year anniversary (hands up if you’re not at work today!🖐). When we started dating, R.J. and I did a pretty good job getting lost on our way to wherever we were going. Somehow, those wrong turns (almost) always end up getting us to our intended destination, and somehow we were usually better off for the detour. We came to dub these wrong turns “adventures” and they tend to make for a good chuckle and a great story 😄. In life as in road trips, we’ve made our fair share of wrong turns. But I don’t think either of us would change a thing, because all those roads led to here, to now, and to each other. So here’s to Friday, and to here’s to wrong turns. 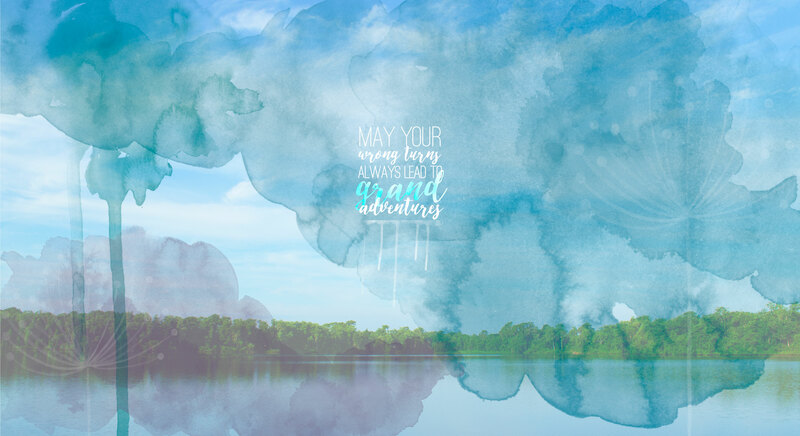 May they ever lead to grand adventures!